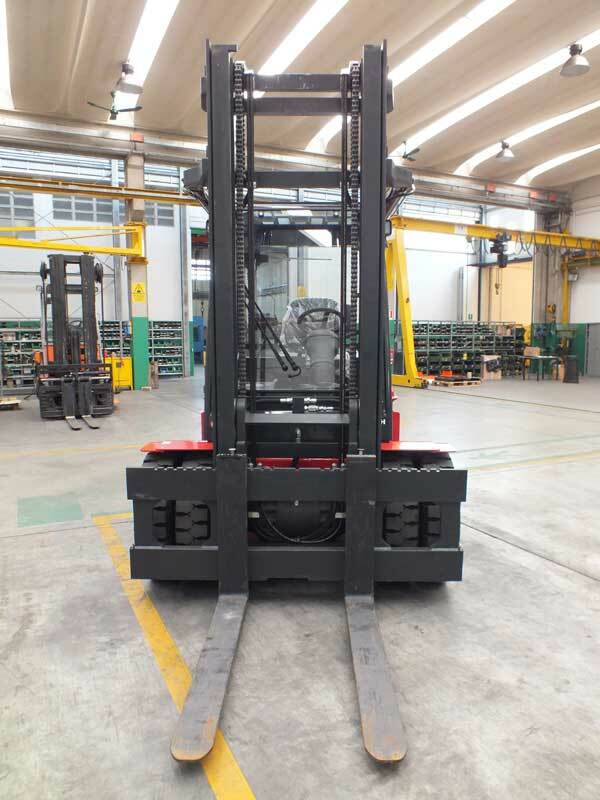 The heavy duty lift truck series KF60-90 H/HD is specifically developed and designed to handle heavy loads inside the standard containers. 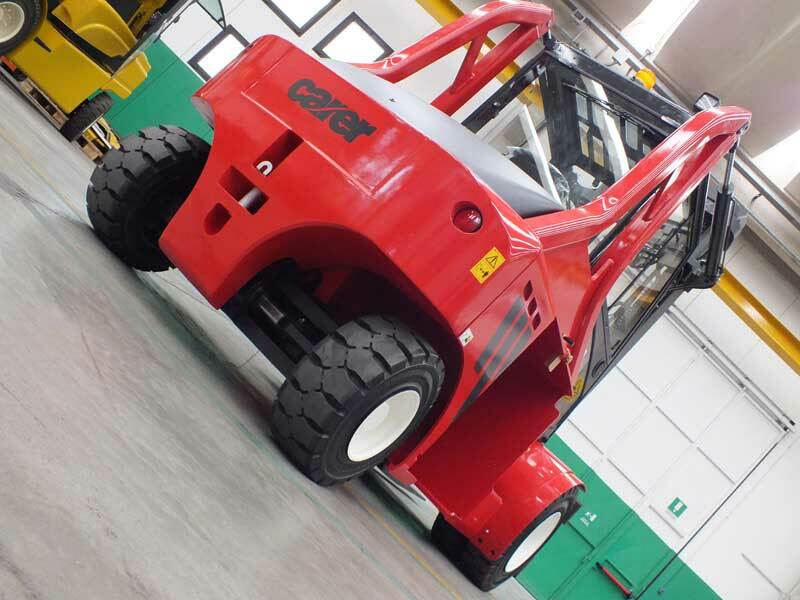 Attention to all the details, creativity and technical expertise used to design and develop the KF60-90 H/HD can be seen in the features and design of this heavy duty lift truck that combines the ability to lift very heavy loads with a very compact sturdy frame with ease of driving, the extremely adaptable performance levels and utmost operator comfort. 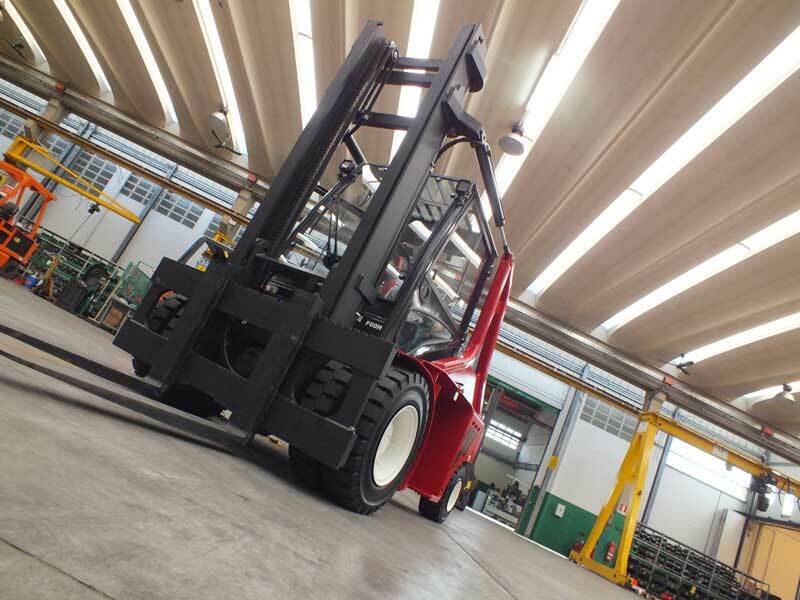 The option of adjusting the parameters of the electronic system with a highly advanced digital touch-screen display means the forklift truck settings can be customized according to operator applications and routines by achieving a balance between high performance or long operating time. 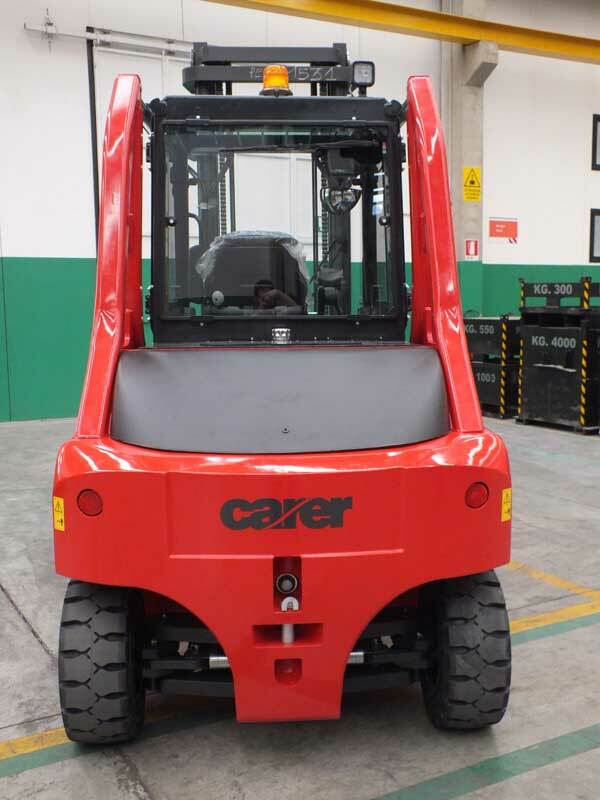 The driver’s cabin, with an ergonomic design mounted on anti-vibration supports to reduce vibrations to a minimum, ensures maximum comfort and ease of driving, thereby reducing operator fatigue even during long shifts. 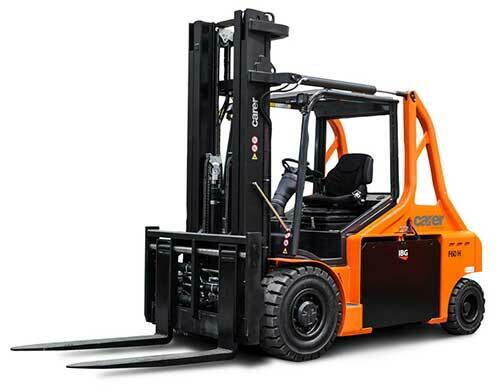 Capacity 13,000 - 19,600 lbs.